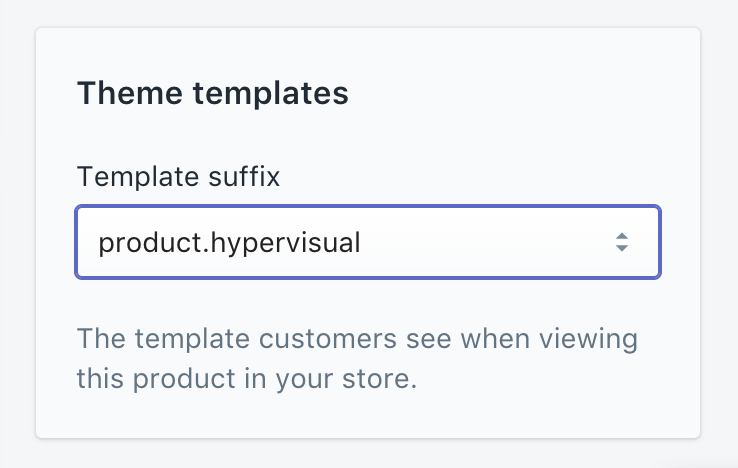 As standard, Hypervisual adds designs to your theme's existing product template. Think of it like a supercharged product description. We install the embed code beneath your add to cart form, but this can be moved to the top of the product page if you prefer -- just ask. However, it's also possible to entirely replace your existing product page with your Hypervisual designs -- this will make your product page work more like a landing page. You can then add a Hypervisual 'product' section to your page to enable the add to cart button. However, this can be a really useful way of producing extraordinarily impactful product pages when your theme doesn't provide quite the look you're after. You can change it back to product at any time to restore your original look.